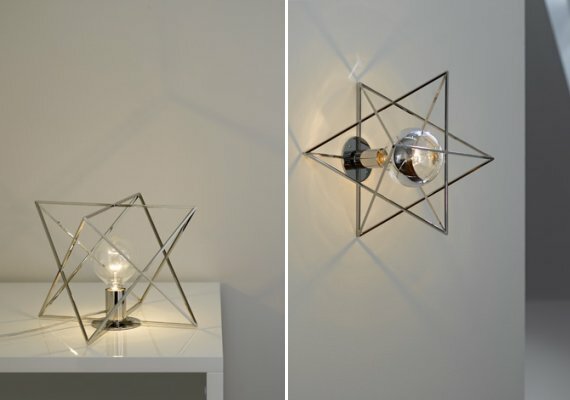 LUM is a lighting collection designed by Peter Straka, the founder of the Vienna, Austria based lighting manufacturer KAIA. 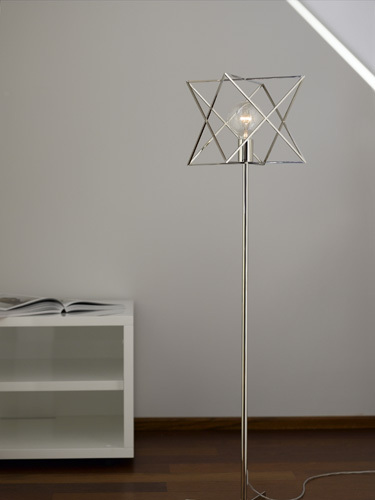 The set includes a ceiling/wall lamp, pendant lamp, table lamp, and floor lamp. In theory, the surface diagonals of a cube should create two pyramids in space. 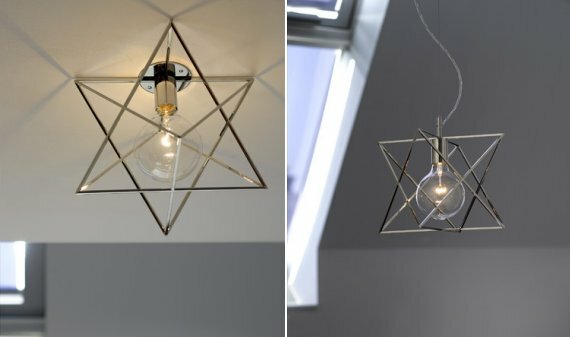 In practice, the nickel-plated, polished brass LUM creates an array of stars, rectangular forms and other attractive geometric shapes, depending on the perspective of the viewer. The lamp also conjures up an equally atmospheric interplay of light and shadow. Visit the KAIA website – here.